We are your one-stop shop for all tyres and wheels in Orange and the Central West . We stock a range of cheaper, budget tyres, to high-end alloy wheels. There is something to fit all makes and models! With friendly, expert advice on all your tyre, wheel, brake, mechanical repair and servicing needs for your vehicle, we'll give you a customer service experience that will keep you coming back. So if you are in Orange looking for all the big names in tyres including Dunlop, Michelin, Toyo, Goodyear and Maxxis call us now and get the POWER at Tyrepower Orange. At Tyrepower Orange we have a great team dedicated to providing the highest level of service and advice in the Central West. 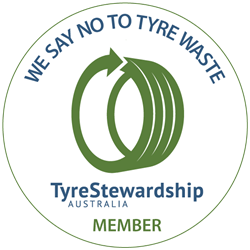 Tim and the tyre team have over 20 years experience in the tyre and wheel business. Tim and the team can recommend the perfect set of tyres and wheels to match your vehicle, your driving conditions, and your budget. In the Service Area, Lionel has vast experience with a massive range of vehicles, especially highly complex European vehicles including Range Rovers/Land Rovers. For mechanical repairs, rego checks, and regular service you can trust Lionel and the team at Tyrepower Orange to have your vehicle back on the road with a minimum of hassle. Managing the operation, Dave and Dell work to ensure a well balanced stock holding to ensure you get a fast turnaround. When you enter the branch you will notice the comfortable and inviting surrounds. A key directive Dave and Dell actively implement is to make Tyrepower Orange the Number 1 destination for all your automotive needs including the right advice and price; particularly for ladies. The majority of our team out for a celebratory dinner. Our tyre sticker ball has evolved to resemble a rather large Easter egg! We're doing our best to make sure this bride isn't running fashionably late. Does anyone know what kind of car this belongs to? We see tyres in all stages of wear. Here are a few that have seen better days.